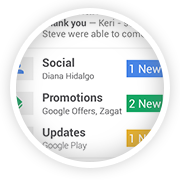 Gmail update: Reach more people you know - Blogger I.Q. 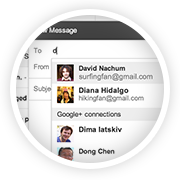 Here is a cool update from the Gmail team early this year (2014). What this update means to you? If you want to send an email to people who haven’t yet exchanged the email addresses with you, then this feature might come in handy. 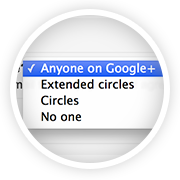 But for this to work, what Gmail does is just suggest your Google+ connections as probably recipients when you type in the first few letters of your intended recipients. For this to work, you need not even add the email addresses to your contacts – it shows up as they are already in your Google+ contacts. These preferences are handled and changed on your settings page. Read the newsletter I received below for more details.